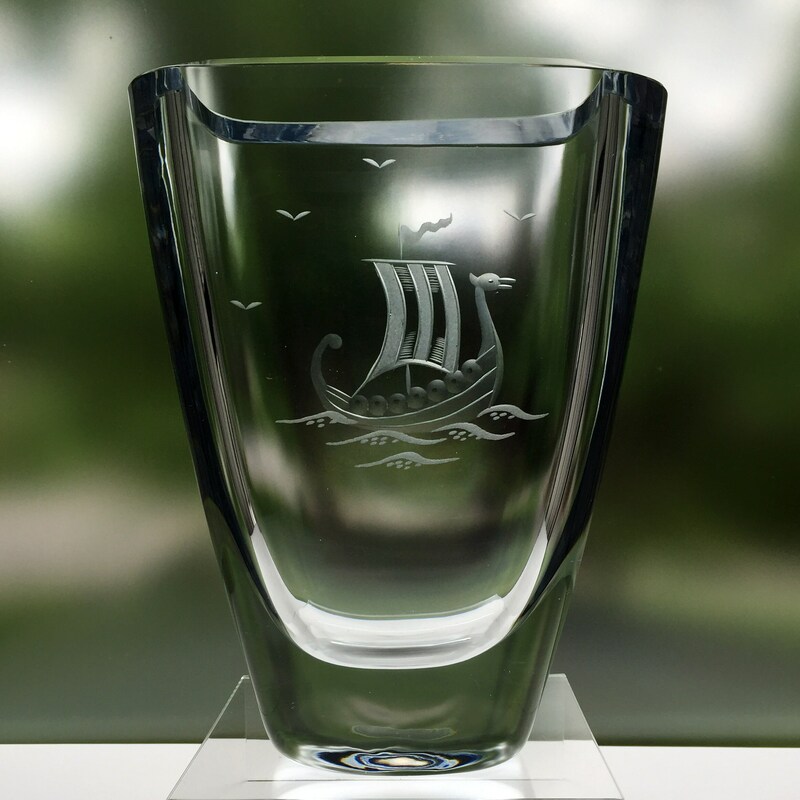 This medium-sized cabinet vase was made by Strömbergshyttan Glasbruk, in Hovmantorp, Sweden. The vase style is B919, designed in 1959, likely by Asta Strömberg. 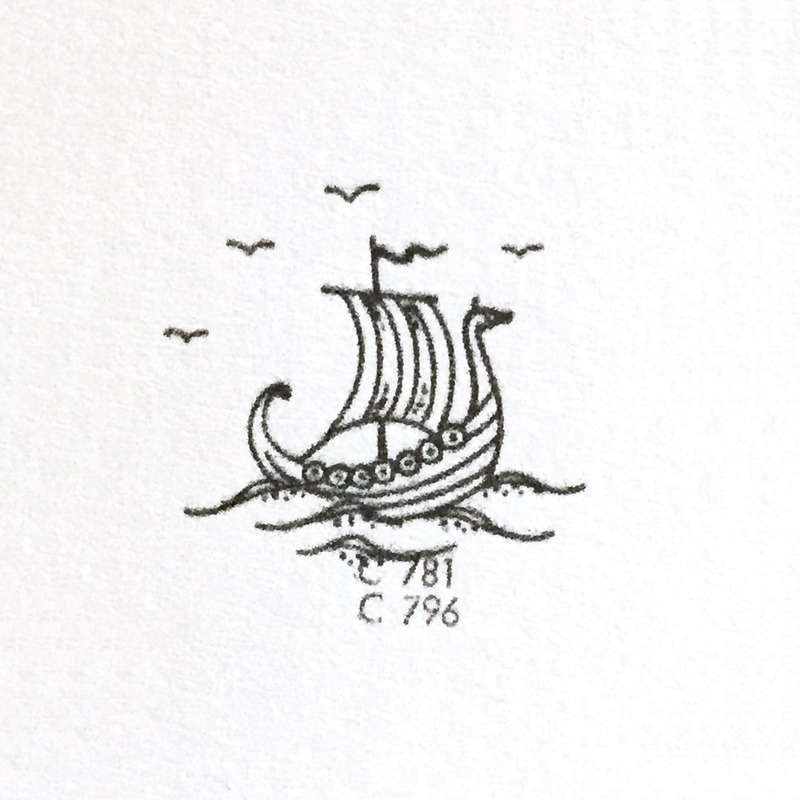 The classic Swedish Viking Ship motif was probably by Gunnar Nylund and is style C796. 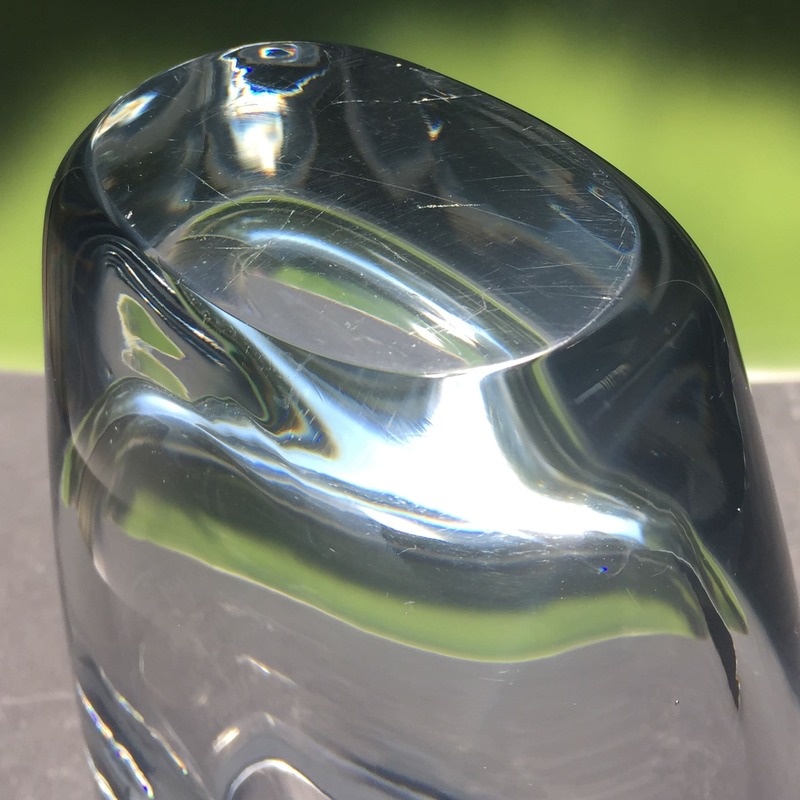 The vase is made from Strömberg's exceptional pale blue lead crystal, and it measures 5.875" x 1.875" x 7.25" (149mm x 48mm x 184mm) and weighs 4.5 pounds (2.04 kg). 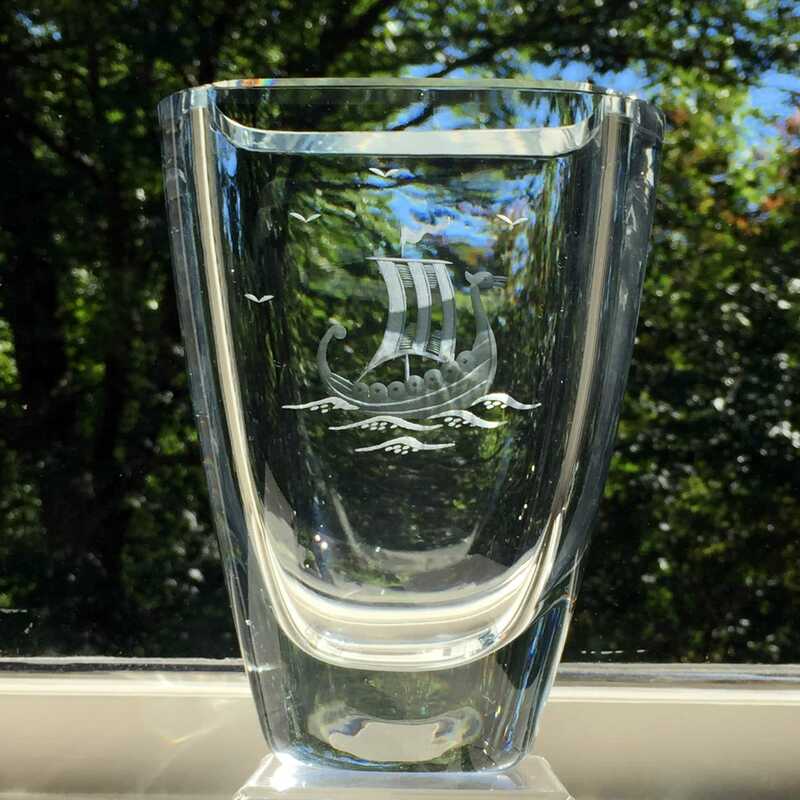 Although this vase is unmarked, it is unmistakably a Strömberg piece. 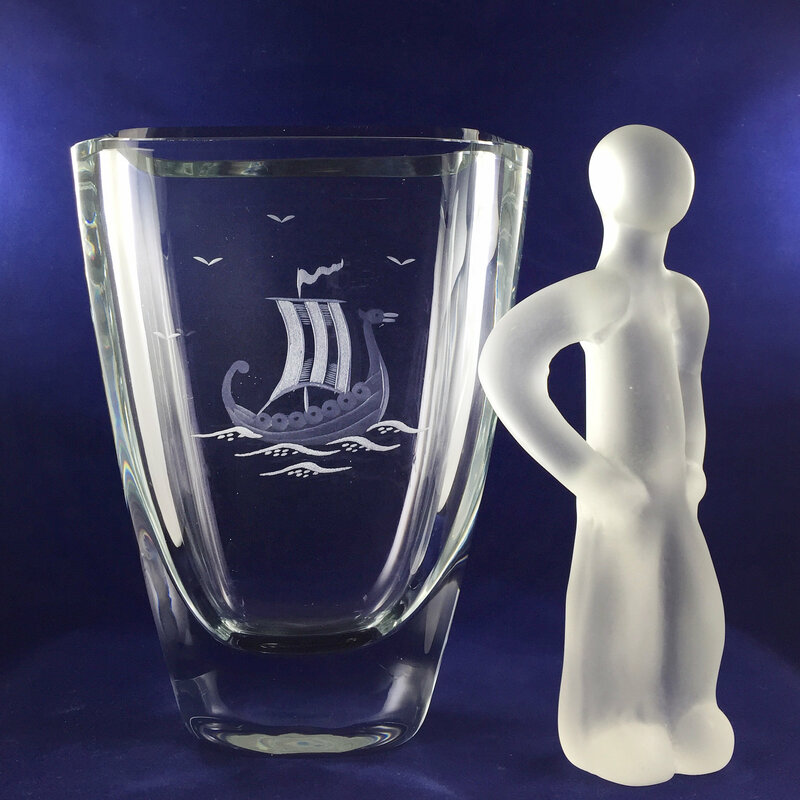 I confirmed that, and got many of the details mentioned above, by consulting with two experts from Sweden, Nils and Åke Bergqvist (grandsons of the legendary glass engraver and artist, Knut Bergqvist). Åke, himself an engraver, remembers learning a lot by engraving this motif with the traditional copper-wheel method. Nils is an amazing archivist, and he shared the relevant catalog images. In 1876, a glassworks called Lindfors ("winding falls") opened just outside the town of Hovmantorp, about 50 km west of Orrefors. In 1933, Edward Strömberg, who was a former head at Orrefors, and his wife Gerda, who was a designer at Eda, leased the company and changed the name to Strömbergshyttan ("Strömberg's hut"). 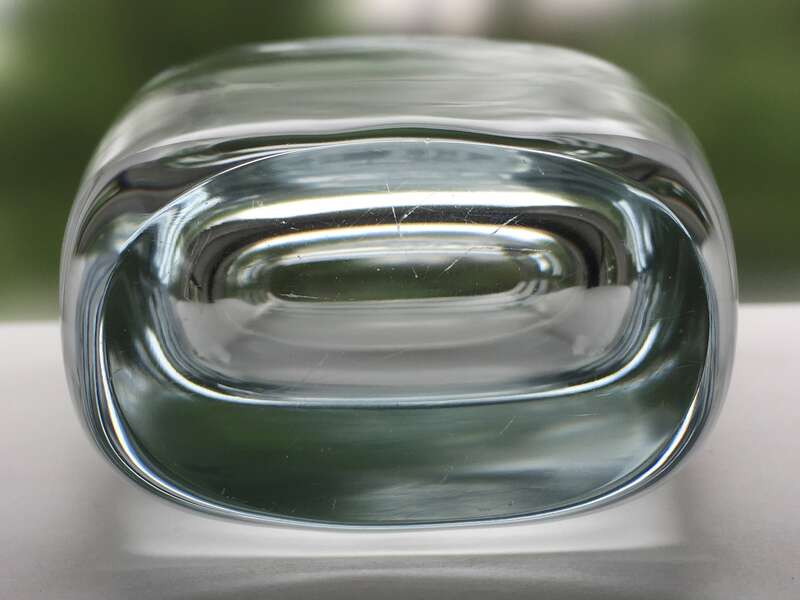 Edward and his son Eric invented a way to produce a glass that had a bluish-silver hue, which became characteristic for Strömbergshyttan. Eric Strömberg and his wife, Asta, bought the company in 1945. 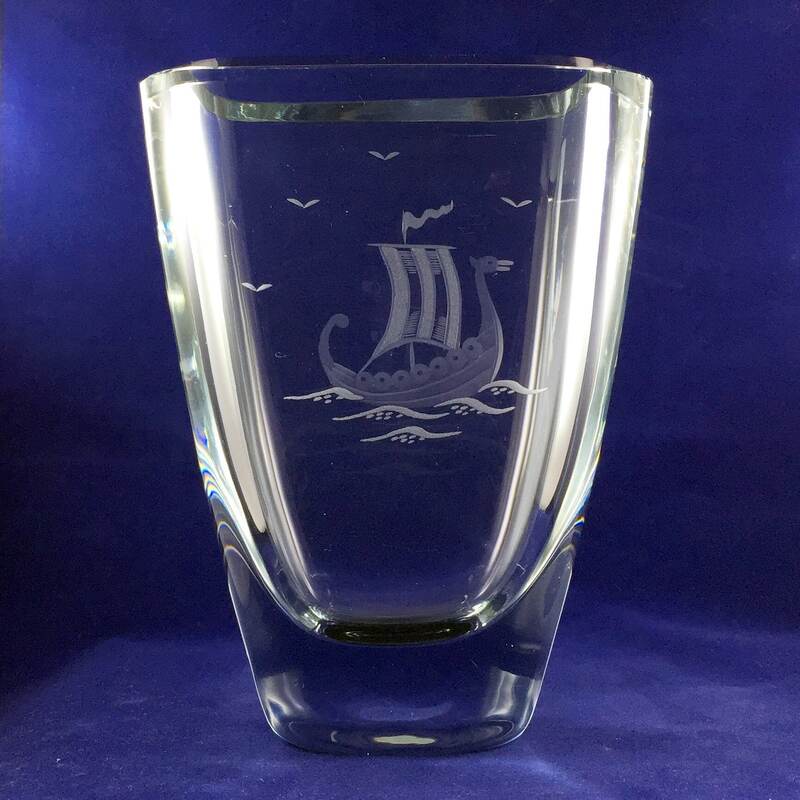 Most of their glass is signed with Strömbergshyttan or Strömberg, as well as one or two production codes. 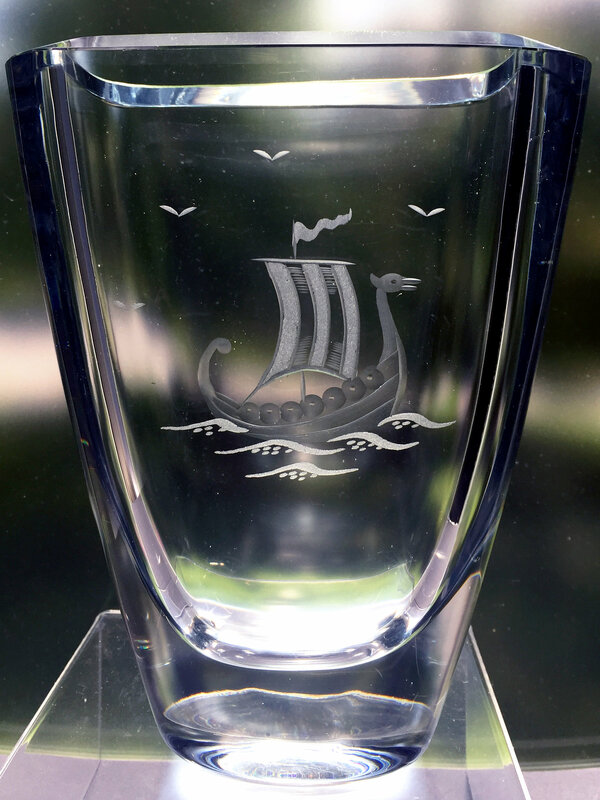 Edward Strömberg believed that many hands made a piece, so the practice of marking the name of the designer or engraver on the glass did not begin until after Edward's death. 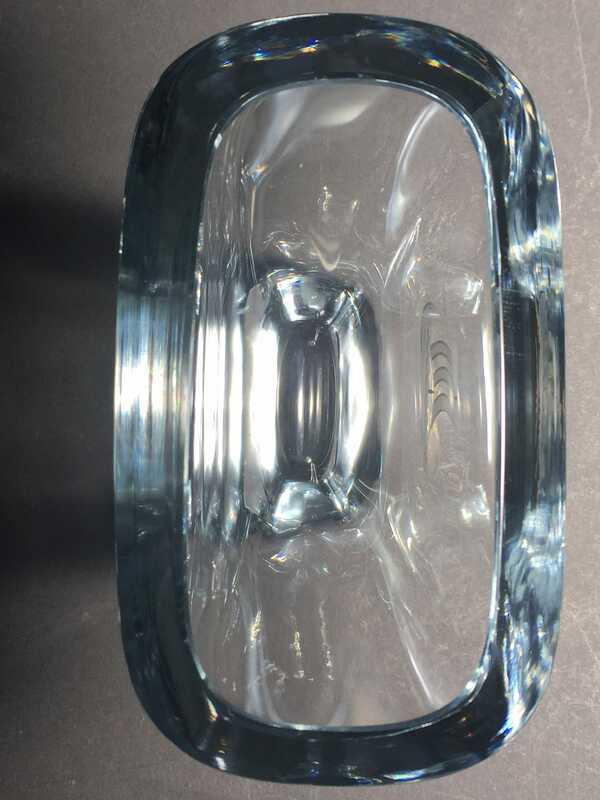 For most of the 40+ years that the family controlled the glass mill, Gerda and Asta Strömberg were the designers. In the 50s, the talented ceramic artist, Gunnar Nylund, also designed for Strömbergshyttan. A terrible fire in 1973 left the glassworks in financial difficulties, and it was sold to Orrefors in 1976. Orrefors closed the Strömbergshyttan glassworks just three years later.